BJP candidate Balwantsinh Rajput, the BJP candidate who lost the Rajya Sabha poll from Gujarat, had moved the court against the Election Commission's decision to invalidate the votes of two rebel Congress MLAs. Ahmed Patel got 44 votes, the minimum he needed to win the Rajya Sabha election. 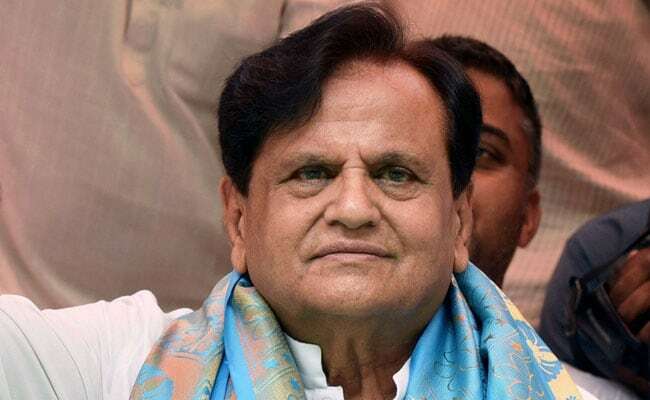 Ahmedabad: The Gujarat High Court today issued notices to the Election Commission or EC and Congress leader Ahmed Patel on a petition filed by BJP candidate Balwantsinh Rajput challenging the poll body's decision to invalidate the votes of two rebel Congress MLAs in Rajya Sabha polls. Justice Bela Trivedi issued notices to the EC, Mr Patel and also the two other candidates - BJP president Amit Shah and Union minister Smriti Irani. The notices are returnable on September 21. Mr Rajput, the BJP candidate who lost the Rajya Sabha poll from Gujarat, had moved the court against the EC's decision to invalidate the votes of two rebel Congress MLAs. He had quit the Congress ahead of the August 8 polls. Mr Rajput contended that the votes of two other Congress MLAs should also be discounted as they too had shown their ballot papers to unauthorised persons, and he be declared the winner. The EC's decision paved the way for the victory of Congress candidate Patel -- who got 44 votes, the minimum he needed to win -- in the high-stakes electoral battle. Mr Rajput polled 38 votes. Mr Rajput's petition said that once the returning officer had used his discretion to accept the two votes as valid, the EC had "no power to issue any direction to the returning officer for accepting or rejecting any vote". The EC had invalidated the votes of former Congress MLAs Raghavji Patel and Bholabhai Gohel. Congress' polling agent Shaktisinh Gohil had lodged a complaint before the counting began, saying the two MLAs showed their ballots to BJP representatives before putting them in the ballot box. The MLAs are not allowed to show their ballots to anybody other than the authorised polling agent of their party, Mr Gohil said. Both these MLAs voted for Mr Rajput instead of voting for Ahmed Patel. However, as the votes were held invalid, Mr Patel was declared the winner (along with BJP's Amit Shah and Union minister Smriti Irani). Had Mr Patel got less than 44 votes, Mr Rajput could have won with second preference votes from the BJP. Mr Rajput urged in his petition that the EC's order be set aside, as it was "patently illegal". Once the returning officer had exercised his discretion of accepting these two votes as valid, the EC had no power to hear any appeal against the order. The only remedy the aggrieved party had was to move a court, it said. Mr Rajput also alleged that Patel won because of "corrupt" practices. Two other MLAs of Congress had also shown their ballots to unauthorised persons, and these two votes, which went to Mr Patel, must also be held invalid, the petition said. If these two votes were rejected, Mr Rajput would get more votes, and hence he should be declared as elected to the Rajya Sabha in place of Patel, it said.